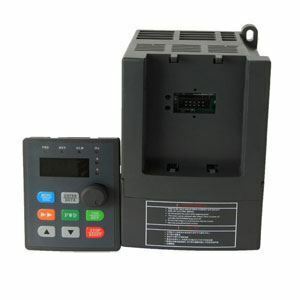 Low cost 1/2 hp VFD, convert single phase to three phase for AC motor speed controls, 208V - 240V 3 amps, IP20, RS485 enabled, manufacturer direct sale. 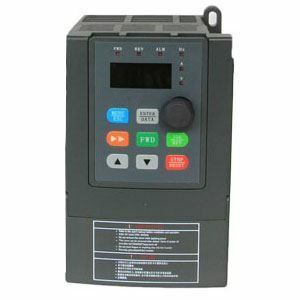 1/2 hp VFD, 0.4 kW, 208V - 240V single phase to three phase variable frequency drive, sale by manufacturer directly. Tips: What are the key factors to be considered for an outdoor VFD application? 1) What are the maximum and minimum ambient temperatures? 2) What is the maximum humidity? 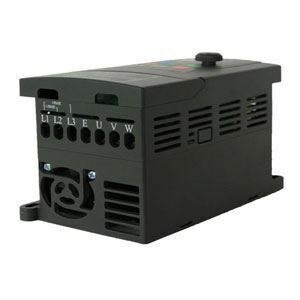 3) Will the variable frequency drive (VFD) be exposed to direct sunlight? 6) Is the altitude at the installation site higher than 1000m ASL? Heat, dust or dirt and moisture are critical questions for what appears to be outdoor applications, but if these VFDs are being applied (for example) to submersible pumps operating 1000'+ feet below the VFD, you need to know that, too.